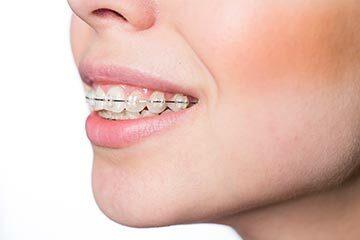 How long will I have my braces? Can I still eat the same foods with braces? What’s the difference between clear vs. metal braces? Of course, the main question from parents is how much do braces cost. We provide a complimentary consultation where we aim to answer all of these queries and more when you come to our office. We discuss the length of treatment, which depends on your child’s individualized treatment plan. We talk about when you should get started with braces, too. We urge you to consider doing it as early as possible, as teeth move faster on younger patients. We get that many kids may feel self-conscious about wearing braces. If your child worries about this, you can talk to us about how to straighten teeth without traditional braces, such as getting Invisalign. We want you to find the option that works best for your family — and we can help guide you through the process of discovering that path. Trust us, it’s worth the effort. Have you ever seen braces before and after pictures? Kids who never opened their mouths during a photo before begin smiling widely at every picture, because they’re so thrilled with their new teeth. We love seeing their newfound confidence reflected in their bright, engaging smiles. Traditional Metal vs. Clear Braces: What’s the Difference? 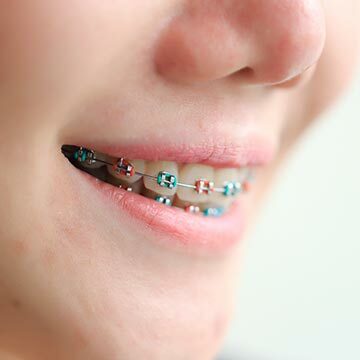 Braces come in two main types, traditional silver and tooth-colored clear (also called ceramic braces). Whichever one you choose, one thing is for sure, life with braces is a bit different than life without. However, technology and advances have made it much easier to wear braces than ever before. We can use MUCH lighter and gentler forces to guide your teeth into better positions. This creates a more comfortable experience for you! Braces are also much smaller than they used to be so you don’t have to worry about the metal mouth look. Everyone knows one of the best parts of having braces is getting to pick your braces colors at each visit! Whether you want to keep it simple and go with a clear color to make it less noticeable or get crazy with a vibrant statement, the choice is yours at each visit. We will discuss your estimated treatment length at the complimentary consultation. Each patient has a unique set of circumstances that will determine how long orthodontic treatment will take. Sometimes it can be as short as a few months and other times a few years. Patients can help their treatment go faster and smoother by cooperating with the orthodontist. From keeping the teeth sparkling clean to watching what foods you’re eating, each patient has a lot of control in how quickly and effectively their treatment progresses. Does your child need a dental checkup or orthodontic evaluation in Portland? Call us at 503-223-5039 to schedule your visit!